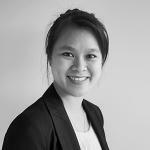 Ms. Hoai Pham is currently a PhD Researcher in the DeltAdapt project of VARMAP section at UNU-EHS. Ms. Pham holds a bachelor degree in International Relations from the Diplomatic Academy of Vietnam. In 2012, she achieved her first master degree on Globalisation and Development at the University of Antwerp (Belgium). She finished her second master’s degree on Development Economics and International Project Management at the Université Paris-Est Créteil – Van de Marne (France) in 2014. Besides, she also had three years of working experience with INGOs in Vietnam from 2008-2011; where she was involved in several researches and project implementing on the issues of disaster risk management and climate change adaptation. The key research themes of her interest are on environmental studies and development economics; those have been formed and built through her master’s degrees as well as working experience. As a part of the DeltAdapt project at UNU-EHS, Ms. Pham’s research focuses on the risk profiles and livelihood adaptation to climate change, particularly to the increasing salinity intrusion of residents in the coastal areas of the Red River and Mekong Deltas of Vietnam. Applying mixed research methodology, her research aims to understand local adaptive capacity and strategies from an inclusive livelihood perspective in the context of dynamic environmental and socio-economic changes in these two Vietnamese deltas.